Doctor Dennis Kavinski® was a practicing family dentist in MolarTowne® and by all accounts a fine, upstanding citizen with a very busy practice. However, in the private back section of his office was his laboratory, and research was his true passion. Research to find a cure for tooth decay or periodontal disease, one might guess? But no, no... nothing of the sort! What Doctor D. K.® was up to was far more surprising... even sinister! He was busy trying to invent a potion that would cause an instant addiction to anything sweet or sugary. You see, Doctor D. K.'s® practice wasn't nearly as busy and successful as it once was, and he was desperate to increase his patient flow and profits! By injecting as many of his patients as possible with this potion, and by somehow adding his secret potion to the local drinking water, it would result in an insatiable desire for candy and sweets. 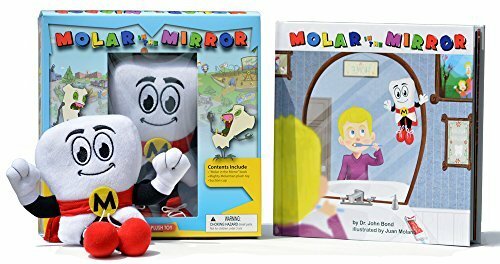 Rampant tooth decay and oral disease would surely result, and his patient flow and profits would soar once again! Then one night in his laboratory, while he was on the verge of his great discovery... something went horribly wrong, and Doctor D. K.® would never be the same! A chemical reaction occurred that transformed him into a sugary beast that the locals have dubbed, "CandyMan". Today Dr D.K. continues working in his practice, but he is more of an evil scientist than dentist. He sees patients during the day, but has plenty of open time to continue his work in his laboratory... now searching manically for a cure to end his beastly ways. Dr. D.K. can no longer tolerate anything sweet; even at the mere sight or smell of a grain of sugar, his transformation into CandyMan begins. 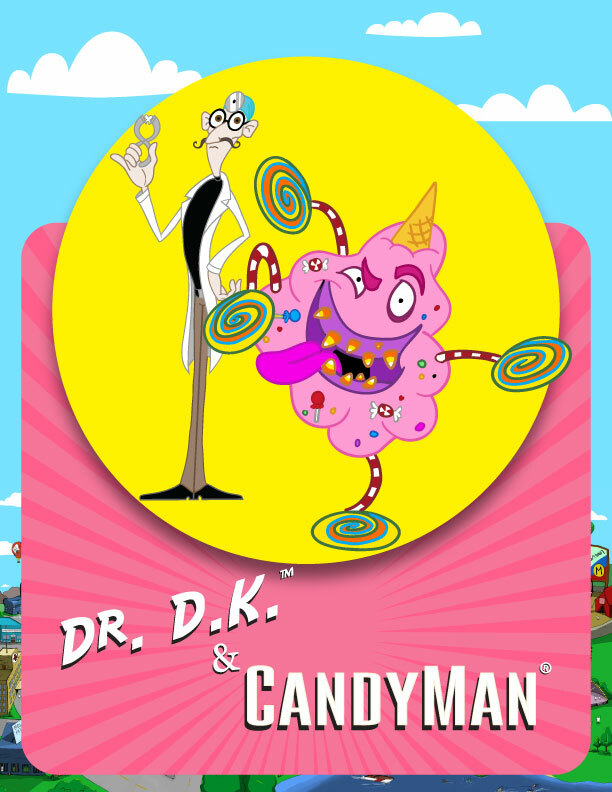 CandyMan® is the sugary monster that Dr. D.K.® turns into when he comes into contact with anything sweet ... even one granule of sugar! The body of CandyMan® is made of cotton candy, and his arms and legs are made of lollipops. His hat is a waffle cone, and his teeth are candy corn nuggets! When anyone grabs his hand or arm, it breaks off for a quick candy treat, but luckily for CandyMan®, he regenerates another hand or arm after every such encounter. Unlucky for the healthy baby tooth or Deciduous Dude® who ate the candy lollipop, they turn into Zombie Teeth®. CandyMan® is allergic to toothpaste.